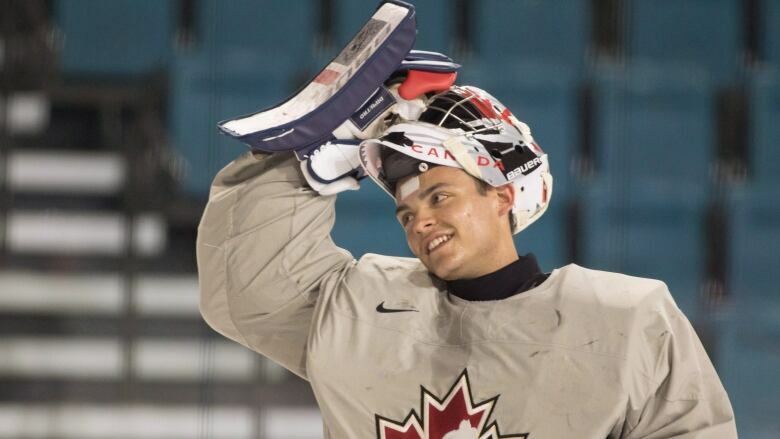 ​After missing out on wearing the Maple Leaf in last year's world junior hockey championship, up-and-coming goalie Mike DiPietro set an alert on his phone to act as motivation. "Got cut from world juniors," it read. A stark message sporadically popped up on Mike DiPietro's phone over the past year. "Got cut from world juniors," it read. After missing out on wearing the Maple Leaf in last year's IIHF world junior hockey championship, the up-and-coming goalie set the alert to act as motivation, pushing him to put in an extra rep at the gym or battle a bit harder on the ice. "When I got cut, it was definitely a tough pill to swallow," the 19-year-old said in an phone interview from Ottawa. "But looking back on it, I think it was good for me. It made me a better person. Sometimes adversity can bring out what you're really made out of." Now DiPietro is getting another chance. This week, he'll be one of 34 players at selection camp for this year's Canadian junior team. "It's a great opportunity for me to kind of re-write the books," DiPietro said. "I really want to make this team. But not only make this team, play the big games, play when it's needed. I want to bring that guy who brings back gold for Canada." News that he was invited to the camp came amidst an emotional whirlwind for the teen, who was dealt from the Ontario Hockey League's Windsor Spitfires to the Ottawa 67's last week. DiPietro — a native of Amherstburg, Ont., just 30 kilometres south of Windsor — was in his fourth season with the Spitfires and had posted a 11-8-0 record with a 0.920 save percentage. While Ottawa got the OHL's No. 1-ranked goalie, Windsor took forward Egor Afanaseyev and a series of draft picks. The move gives DiPietro a shot at Memorial Cup run with the streaking 67's, but leaving his family, friends and the team he's grown up with isn't easy. "I'm just approaching this as a really long road trip," he said. "It's something that's good for my career, I think, and something that had to be done." The goalie posted his first win in a 67's uniform on Saturday, stopping 24-of-25 shots as Ottawa beat the Gatineau Olympiques of the Quebec Major Junior Hockey League 5-1. Now he's headed west for another shot at representing Canada at the world juniors, taking place in Victoria and Vancouver from Dec. 26 to Jan. 5. Missing out on last year's gold-medal-winning squad is still fresh in DiPietro's mind. "This is the first time I've ever been cut from a team so it made me want it more," he said. "It was an opportunity to realize that nothing in life is ever given — not that I wanted it to be. But obviously when you want to represent your country, you want to be the guy and to play. And that wish didn't happen." While DiPietro has always prided himself on his work ethic, he said this past year has been about consistent achievement and surpassing goals. It's an approach he's taking not only in the OHL, but in looking at his future hockey career. DiPietro wants to go pro next season and his long-term dream is to win a Stanley Cup with the Vancouver Canucks, the team that drafted him 64th overall in 2017. 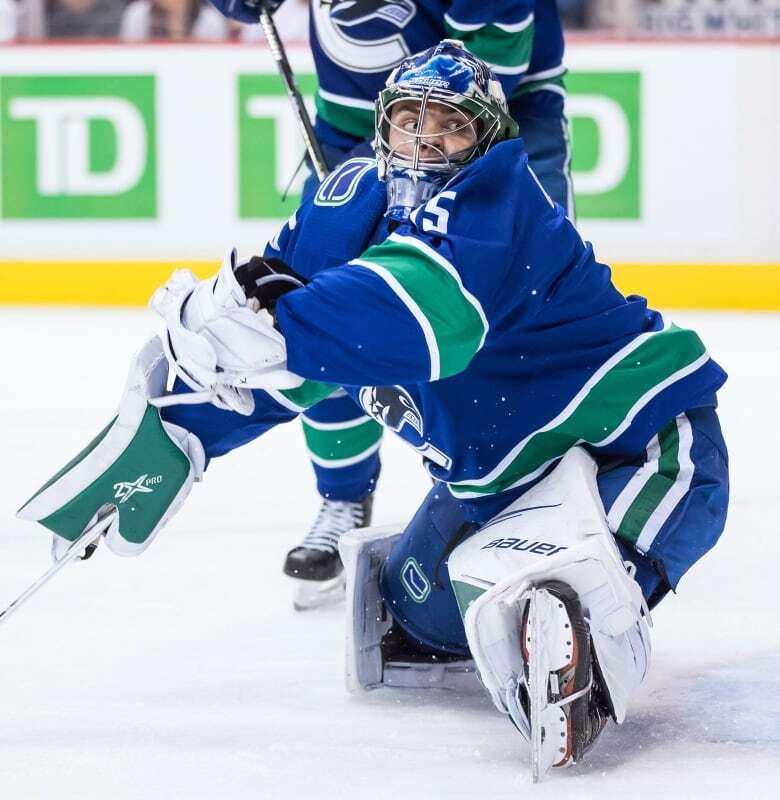 The Canucks prospect went down to Detroit in early November to watch the team play and said he had a quick conversations with general manager Jim Benning and goalie coach Ian Clark. But he hasn't had much opportunity to keep tabs on the team this year. "Vancouver's a great organization and I'm proud to be part of it," DiPietro said. "But I'm going to focus on the teams I play for now and hopefully that will help me get to Vancouver sooner rather than later." For now, his focus is on making the world junior squad. Being part of the team would mean everything, he said. "Growing up in Canada, it's almost like religion to watch the world juniors at Christmas time for every hockey family out there," DiPietro said. "Growing up watching the tournament, now having the opportunity to try out and hopefully play in the tournament is amazing. And words truly can't describe the way I'm feeling."